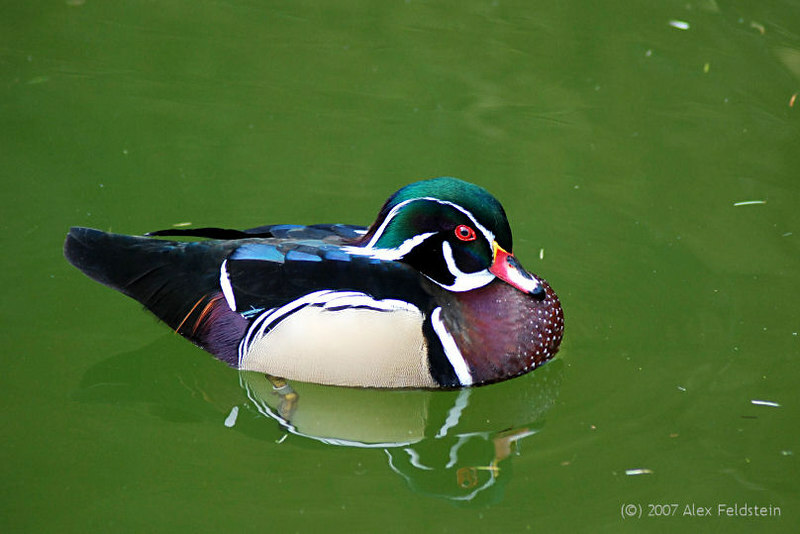 Discussion in 'Birds' started by alexf, Apr 5, 2007. What a neat moment to capture in #3 and 4. 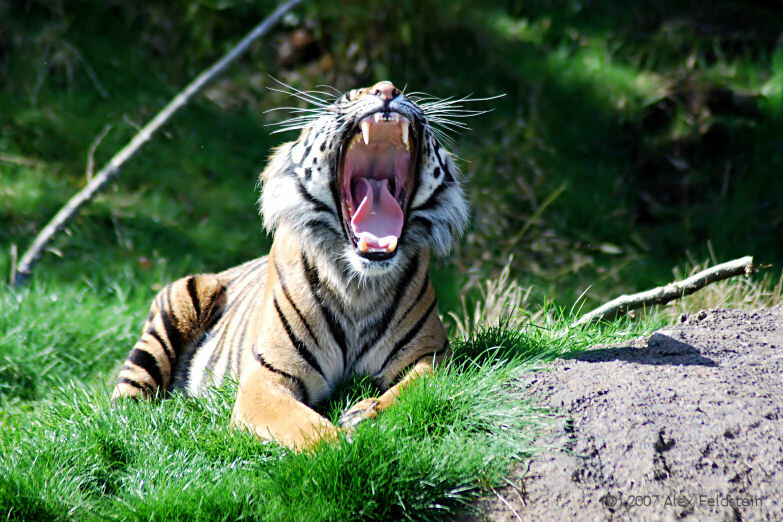 I visit the tigers at the San Diego Zoo and they always seem to be sleeping. Great job capturing the yawn. 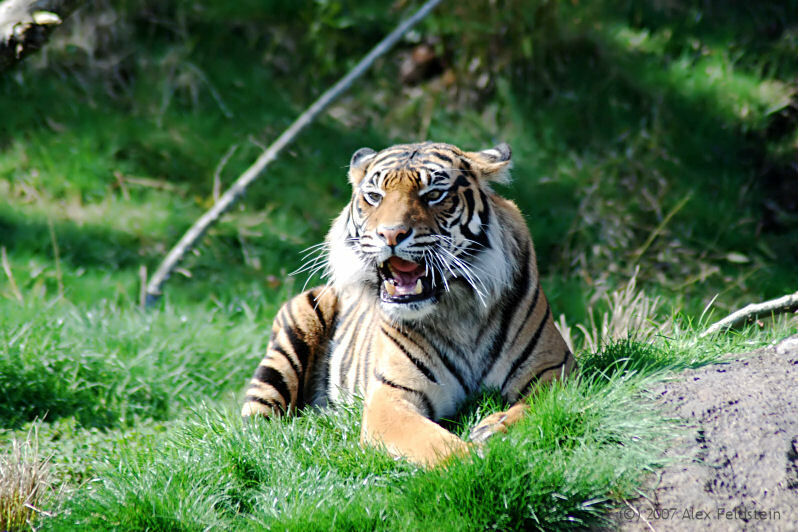 It looks like the highlights are a little bit blown out in the tiger pics. Could they be softened a bit? It was a harsh light, one of the only two sunny days I got in almost two weeks there. I did goof on blowing the whites to begin with. 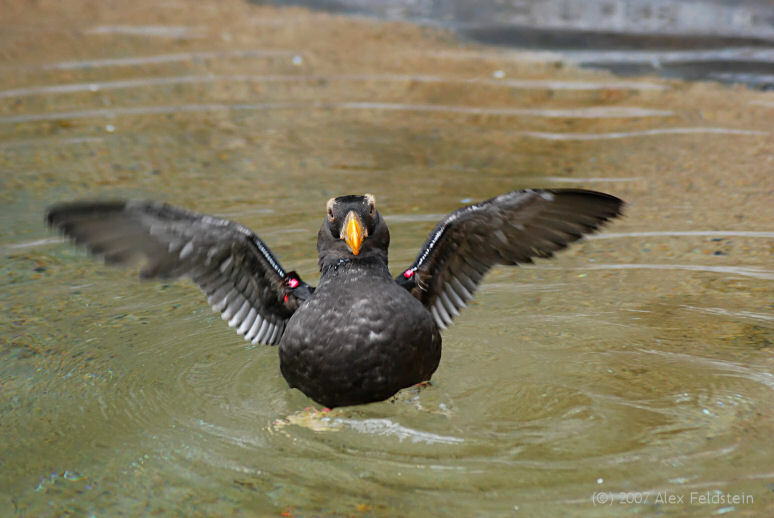 Love that tuffted Puffin. Never saw that one. 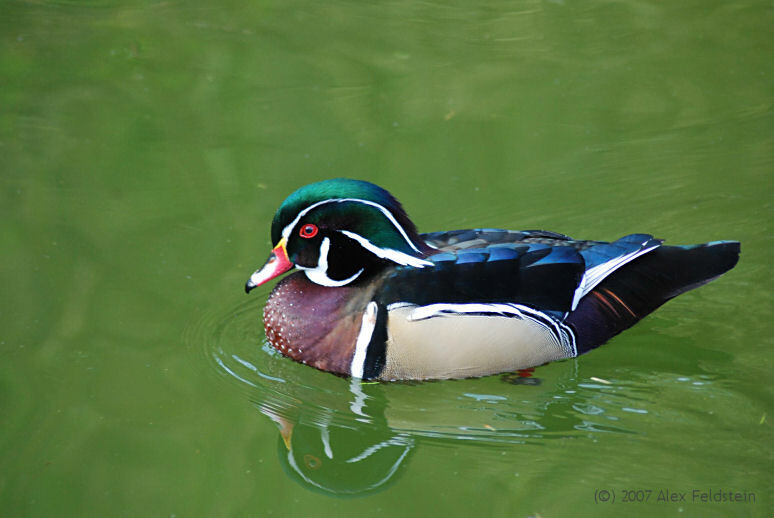 I love the Wood Duck. 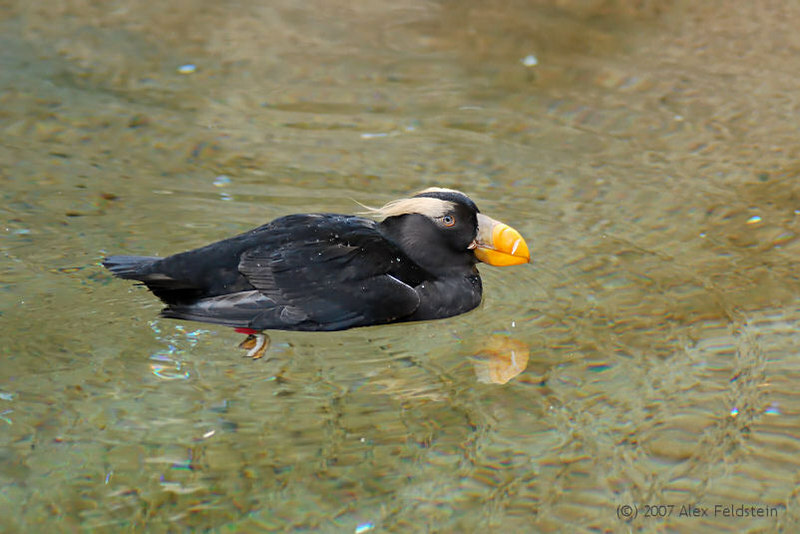 Love that Tufted Puffin. Never saw that one. Thanks Gale. 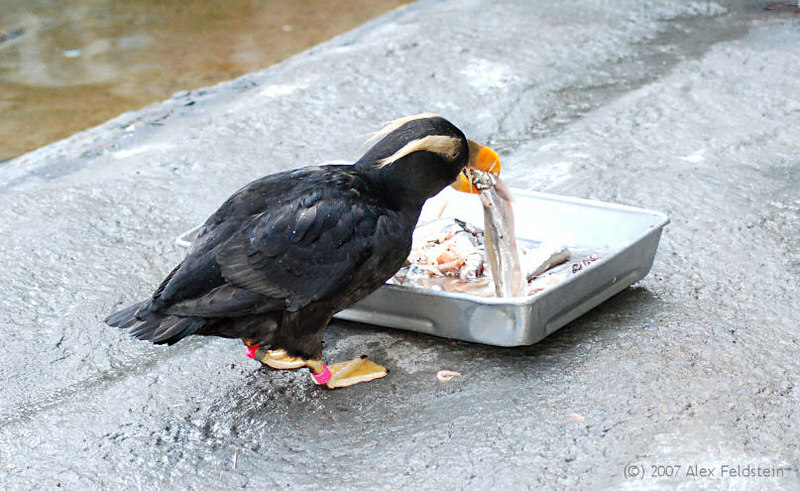 I never saw that kind of puffin before either until this zoo visit.